Glasses to treat color blindness? Do they work? Glasses to Treat Color Blindness? Do they really work?? Recently there’ve been many advertisements and YouTube videos for Enchroma colorblindness glasses. At this time, we are not endorsing this product, but have purchased a pair for all of our patients to try at no charge. Colorblindness is a misleading term as it is very rare for anyone to be completely colorblind which implies black and white vision only. Color deficiency is a more accurate descriptive in which those patients affected most commonly have difficulty discerning between shades of red greens and browns. Color deficiency affects about 10% of the male population and about 0.5% of the female population. The color vision gene is carried in the X chromosome. Since females have two X chromosomes, one defective for color vision can be compensated for by the non affected X chromosome. Since males have only one X chromosome, any color vision deficiency will be expressed. There is no known cure or treatment for color vision deficiencies and most patients with the problem have no idea that they are color deficient unless they are tested. They’ve simply adapted to a different way of perceiving colors. Unfortunately this can cause some confusion in matching clothes and other colored items. It can also cause problems with vocational and job-related color vision requirements. Those with a color deficiency problem should be cautious and going into aviation, electrical work involving wiring, interior design, and other professions where color vision is more important. Although their technology is patented and proprietary, manufacturer vaguely explains at the website that the Enchroma glasses enhance certain shades of red greens and browns to make them more discernible from other shades. However, from our research we have not found anyone who could pass a color vision test with the glasses when they cannot do it without the glasses. 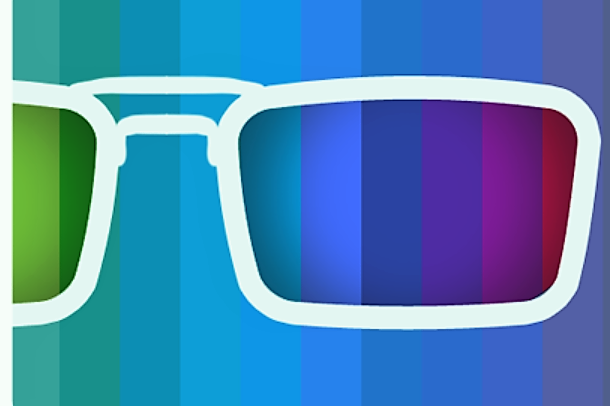 If you or a family member or a neighbor have or suspect you have color deficiency problems, please stop by our office for a free test run of Enchroma glasses. Please click here to learn more about our colorblind glasses event.